Wishes: Your wishes determine your destiny. They are like set goals. When you wish you set yourself goals and then work towards achieving them. Most of us just wait for good things to happen rather than work for it to happen. 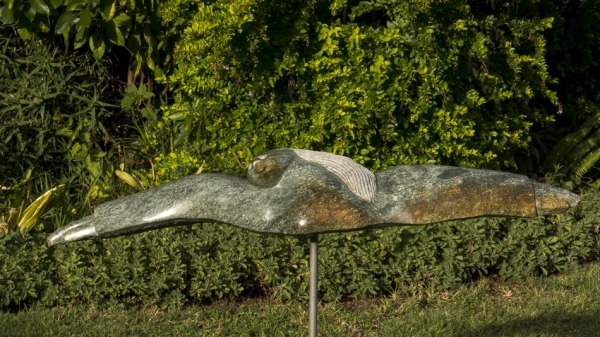 The sculpture shows a person who is lonely and longing to be with her loved one, and she is wishing to fly and be with him. The sculpture shows a husband coming home to his family with a present. In Shona culture the wife kneels and claps her hands saying thank you. She will be reciting a praise poem which has to do with the husband's totem. This will in turn encourage the husband to always do good things for the family. The husband can also reciprocate when the wife has done something good. It can as well be done after love making. The culture of saying thank you binds families together and instils a sense of responsibility. This goes on in everyday life. THANK YOU means a lot. The sculpture shows a Woman and her unnoticed role in our life as a mother, sister, wife, aunt, mentor, you name it. All that she does it she does it silently, she has it all but does not show off. A woman has strength that amazes a man. She can handle trouble and heavy burdens. She holds happiness, love and opinions. She fights for what she believes in. Her love is unconditional and often forgets that she is worthy - Silent Pride. When we are in trouble and have no possible solution in sight we look to God for solutions. In times of trouble families in Shona society would consult their ancestral spirits for advice and guidance. 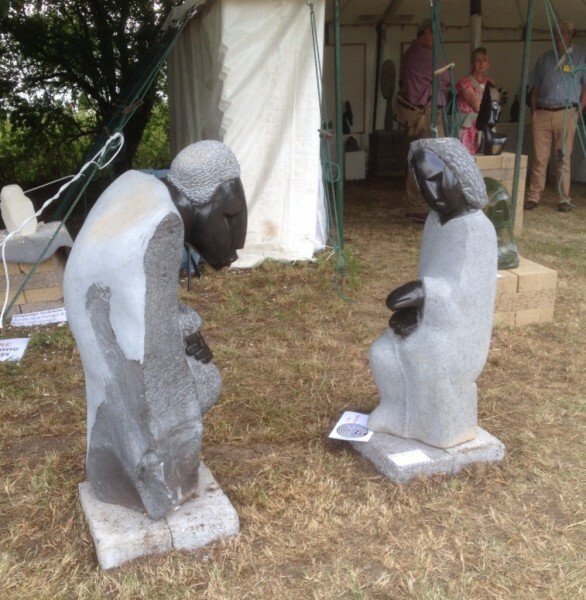 This sculpture shows a man praying for solutions to problems facing Zimbabwe and the world at large. Problems such as the political crisis, HIV and AIDS, the economic crunch, wars, natural disasters and others are in need of Divine intervention for they seem to be beyond human control.